Seno has provided innovative energy-saving technologies to solve a variety of outdoor LED Flood Lighting,LED Industrial Light,LED Sport Stadium Lighting,LED Sport Floodlights,Outdoor LED Stadium Lights,LED Projecting Lamp. several sorts LED flood light /LED Floodlight which are kept the traditional style, adopting multi-angle lens, make the light become a bundle or wide range, the narrow angle lens flood light mainly used to project the tree, pillar and the outside wall of the building, the LED Flood Light wide range light suit for brightening the buildings, view sight, crossroads and so on, different color you can choose, white red yellow green. Of course, Seno also able to produce the products according to your requirements, you need to provide us with technical parameters, perfect design, perfect design, superb technology, save energy for the world and become the future of lighting. High power led flood light 100W 150W 200W 300W 400W 500W 800W 1000W 1500W for option,AC100-305V meanwell driver to guarantee the long lifespan. 1.Use Original Osram 3030 series LED. 2.Mean well driver with input AC90-305V used. 250W led bell lamp,led flood light,led high bay light,300W led high bay lighting,5 years warranty,Taiwan Meanwell Driver. 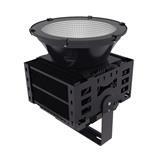 IP65 Waterproof 300W led flood light,Osram LED high bay light,25/60/90degree for option.AC100-305V for worldwide use. 1.Use Original SMD3030 series LED. 500W/800W/1000W/1500W high power led projecting lamp,led flood light,AC100-305V 5 years warranty. 2018 New led flood light with super thin design.Using Osram 3030 led and Meanwell driver to guarantee long lifespan >50000hours.Using different reflector with various beam angle 8/15/30/60/90/120degree for option. New 100W led flood light with High brightness >120lm/w output design is going to replace 300W traditional lamp.Various CCT 2700-7000K for option.Beam angle 8/15/30/60/90/120 available now! 800W High power led flood light, outdoor use waterproof IP65,AC100-305V input,widely used for tennis court,sport area,stadium etc. 1000W LED Projecting lamp widely used for sport area,stadium,gymnasium,tennis court.AC100-305V meanwell driver 5 years warranty. 1500W high power led sport lighting,high brightness,45/90degree beam angle,AC100-305V meanwell driver,5 years warranty.